A bank has been ordered to pay €4,000 in compensation to a Syrian man, who alleged he was refused permission to open an account with the institution two years ago. The man came to Ireland as part of the Refugee Protection Programme and was seeking to set up the account after he entered employment. He took a case against the branch for breach of the Equal Status Acts 2000-2015, alleging that he was refused on the grounds of his Syrian nationality. 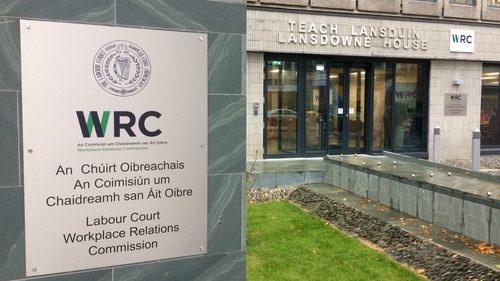 In its decision, the Workplace Relations Commission found that where a service provider applied an explicit policy of direct discrimination based on nationality - there had to be an extensive duty on the bank to ensure that such a policy was carefully applied to avoid such a situation. The man at the centre of the case alleged that he had tried to open a bank account with the bank in 2017, but had been refused by a member of the bank's staff on presentation of his refugee travel document, and told that "we don't open bank accounts for Syrians at the moment". The man then complained to the bank. At the WRC hearing, the bank said it accepted and had always accepted refugee travel documents as proof of identity. It said that since becoming aware of the incident, it had updated its website to specifically refer to the fact that it accepts refugee travel documents as proof of identity. The Irish Human Rights and Equality Commission which provided legal assistance, advice and representation to the man, has welcomed today's decision by the WRC. Chief Commissioner Emily Logan has called on financial institutions to ensure that customers are protected from any form of discrimination by putting in place appropriate training mechanisms and clear guidelines, and ensuring staff are aware of them. "The Commission is aware that this is not an isolated incident and we are aware of other people who have experienced similar incidents, and we would ask all service providers to pay attention this outcome," she said. The bank has been ordered to engage directly with the IHREC to minimise the possibility of any type of re-occurrence of the type of incident.